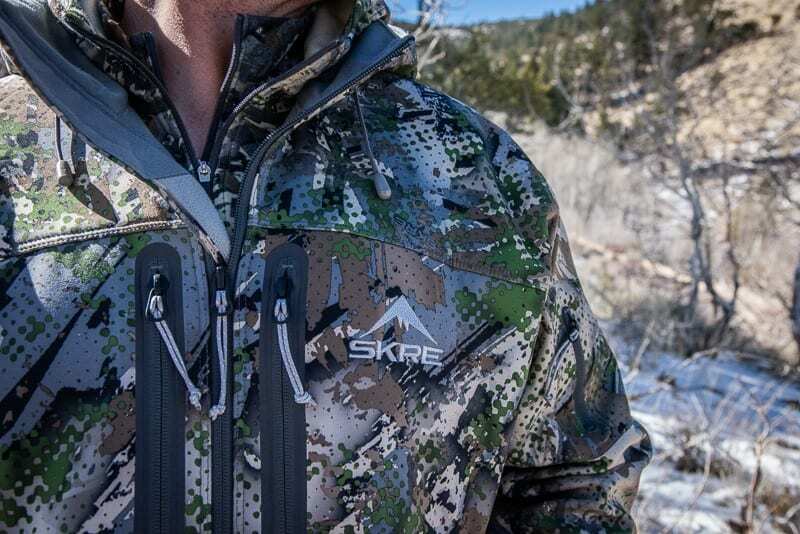 Not only did SKRE introduce a new pattern this year, but they also made some design changes to their flagship items making them a better piece while still providing their quality to price ratio. Their whole lineup featured a zipper change, and the Hardscrabble series now boasts a softer material and considerably less stiff all around. SKRE also fixed their sizing issue; it is now closer to other companies. They still offer free shipping on exchanges if something does not fit so finding the correct size should not be an issue. 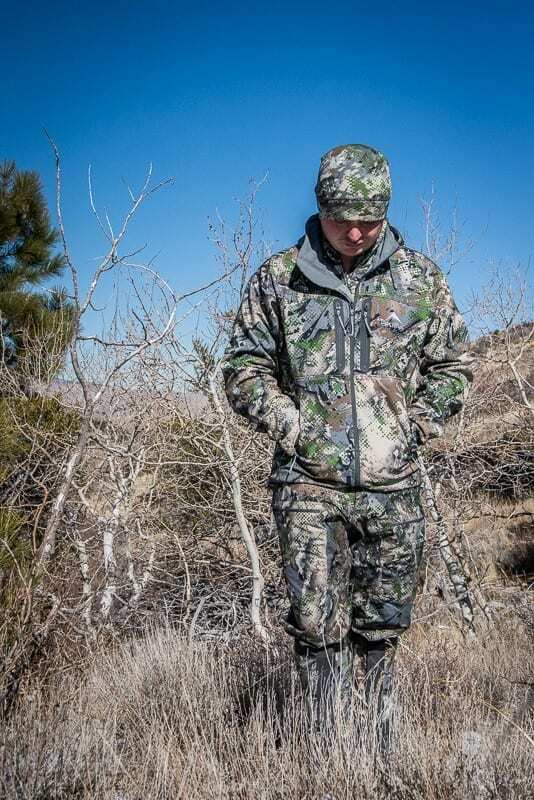 The new pattern is much lighter and blends in well in a variety of western hunting models. 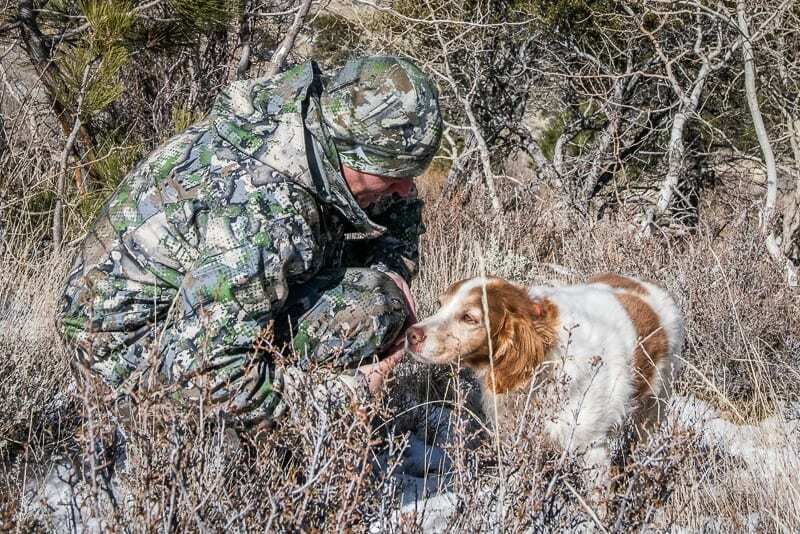 It is very similar to Sitka’s Subalpine pattern as far as colors go. SKRE is a Rokslide sponsor so I was able to get my hands on this year’s lineup and put it through the wringer all season. 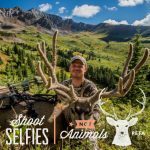 I spent 20 plus days shed hunting in them, and close to 50 days in the field scouting and chasing mule deer and antelope. Here are my thoughts on the lineup after putting in some serious miles. The newer version of the Hardscrabble jacket has some very nice improvements making this jacket my go-to when heading out the door. The Velcro cuffs now are longer allowing it to hook with a completely open cuff. Before, the cuffs were not long enough to hook onto itself with the cuff completely open. This left you with having to tighten the cuffs every time you took your jacket on and off, or have the strap flap in the wind. Also updated, are the zippers and pulls. They are no longer as stiff to open and can easily be accomplished with one hand. I am a big fan of merino wool and wear it almost daily no matter what season of the year it is. The Kaibab 170 Merino top is no exception, it is very soft and comfortable on bare skin and conforms well to your body. 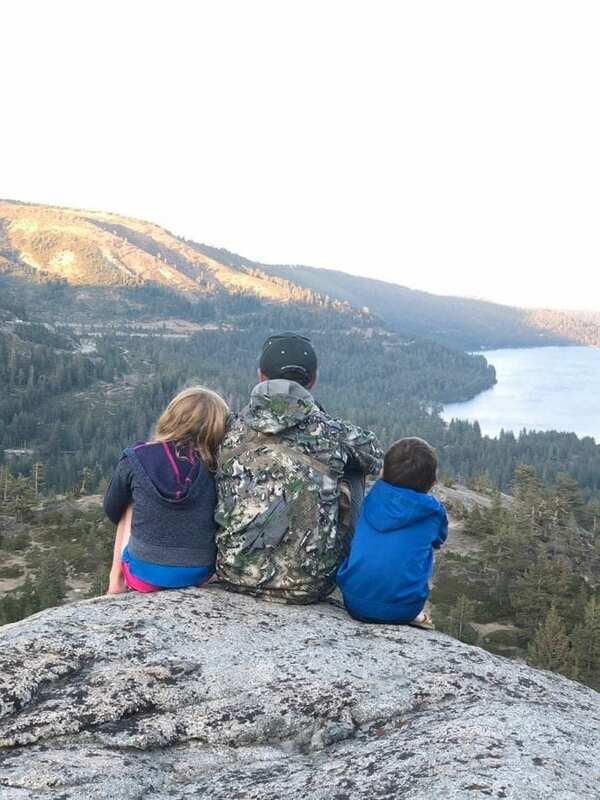 The Kaibab wicks moisture well and keeps heat in when you need it. My only wish is that I had this piece for every day of the week! 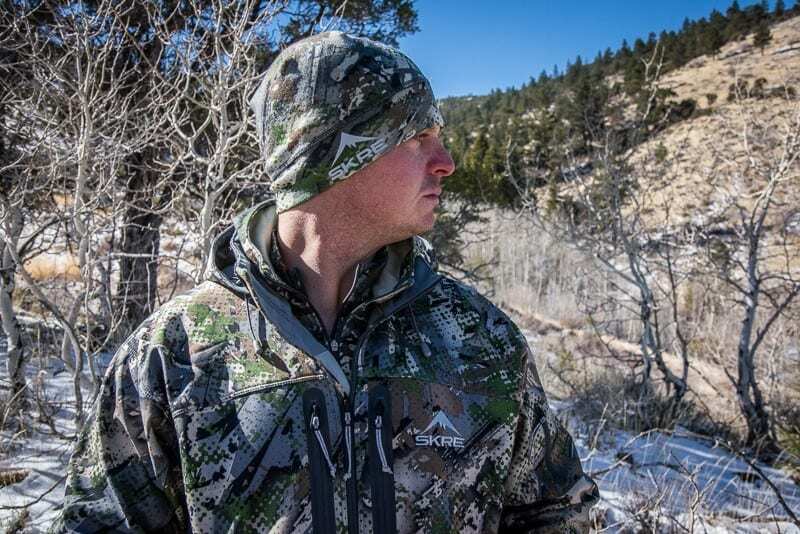 The Kanati 300 hoodie has proved to be a valuable piece in my layering system, Having a thick merino layer sets me up for success when glassing in almost all conditions I have been in. It is a little on the heavy side but well worth it for the size and insulation qualities. There is no remarkable change in the cut; however, the new material and zippers make the pockets much more user-friendly. 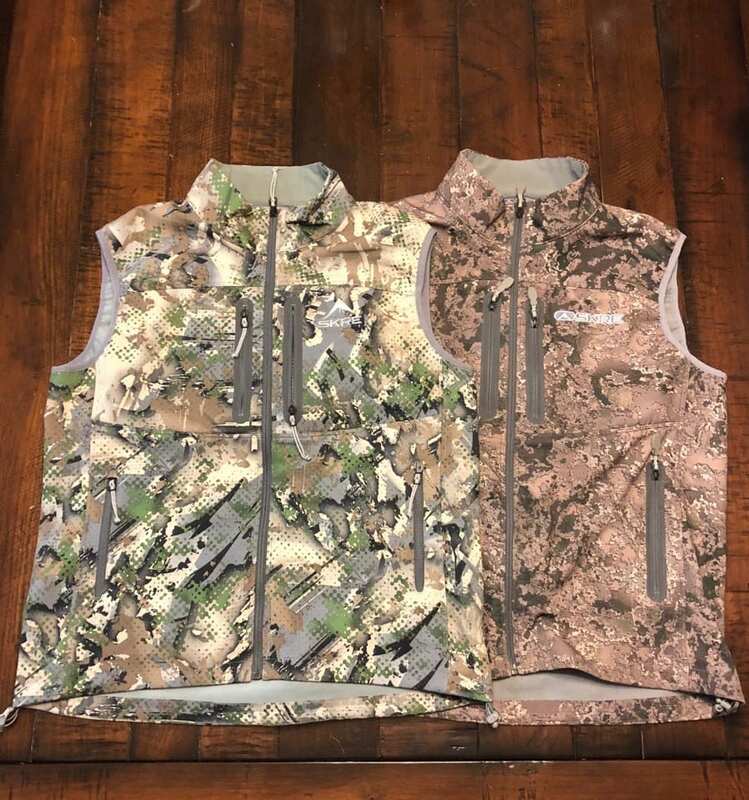 The Hardscrabble vest is very comfortable, and I tend to wear it not only on hunts but in my daily life as well. 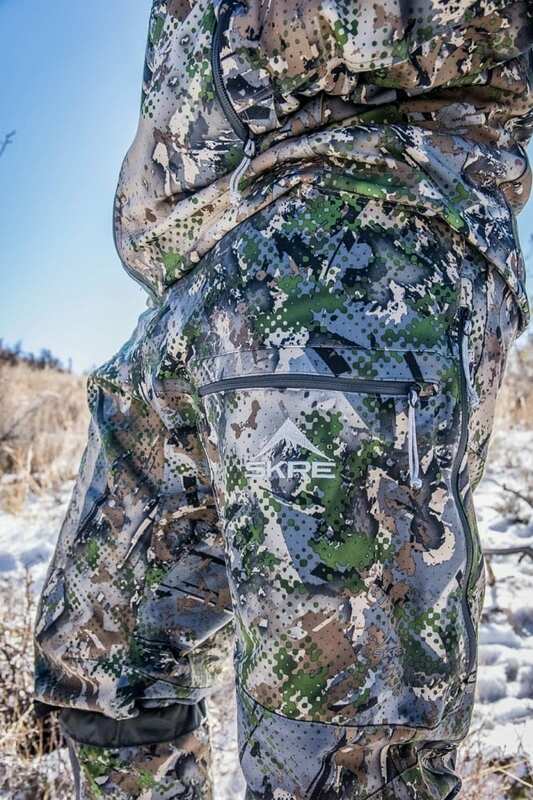 I spent all late winter and spring 2018 shed hunting in this SKRE lineup as well as abused them from August to November on various hunts ranging from 100-degree high alpine days in California to single digit blizzards in Colorado; overall, this gear performs well and lives up to the hype. I haven’t had any gear failures, rips, tears, or abrasions and I abuse my gear more than I should. 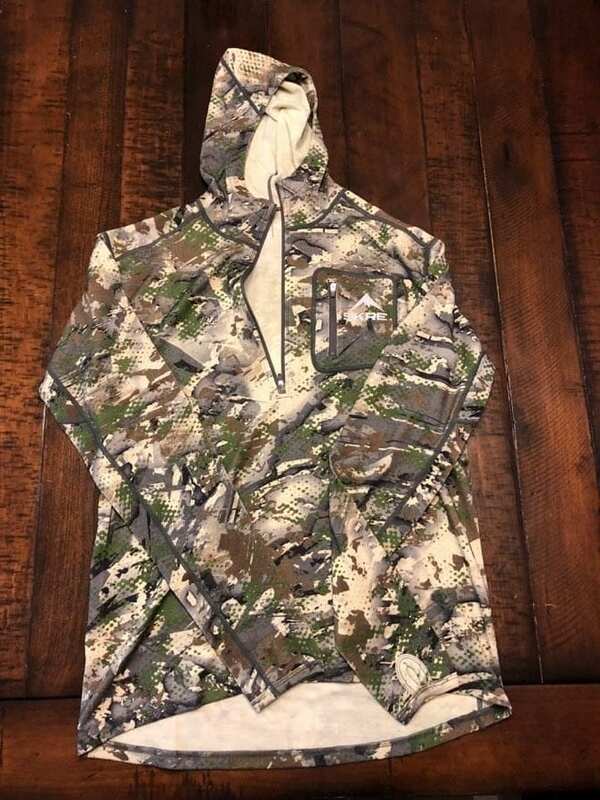 The layering system just plain works as it should; however I hope they expand on it next year adding new pieces like zip-off thermals and more glove options. They make a great essential package, but now it is time to expand into a more technical lineup. Overall, I prefer the Summit pattern over the darker MTN-STEALTH as I believe it matches the environment I typically hunt in better. What I am most impressed with about this lineup is not just a single piece, but SKRE as a company and their ability to take customer input and apply it. They have taken several of the suggestions from their consumers and adapted to meet their needs. It is nice to see a company to take action and be humble about it. You can comment or ask Travis questions here.